Pastor Nathaniel Robinson Jr., age 66. Sunrise January 3, 1949 in Pompano, FL and Sunset May 7, 2015 at Mt. Carmel East Hospital. Pastor Robinson retired from the State of Ohio Industrial Commission and was the Founder and Senior Pastor of Old Tabernacle Ministry Church. 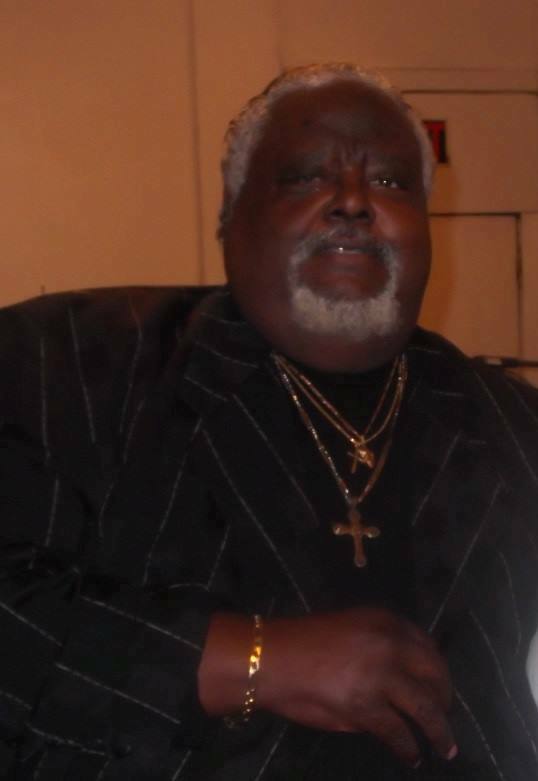 He was known throughout the city as a Gospel Quartet Singer and a member of 5 Star Harmonizers for many years.. He was preceded in death by his father Nathaniel Robinson Sr., great grandmother Hannah Augusta “Gussie” Pope. Left to cherish his memory, wife of 35 years Yvonne Z. Robinson, mother Lee Esther Swindall, son Nathaniel (Amanda) Robinson III, daughters Yvonne DeNae (Jeremy) Robbs, and Janel Kamika Robinson, grandchildren, Samuel, Daniel, and Yvonne Z. Robbs, and Malachi, Nathaniel IV and Denise Robinson, 8 brothers and 6 sister and a host of other family and friends. Visitation 6-7pm followed by a Celebration of Life Musical from 7-9 Friday May 15, 2015 at Jehovah Shammah Church 598 S. Harris Ave. Home Going Service 10:00am Saturday May 16, 2015 at Jehovah Shammah Church followed by interment at Evergreen Burial Park. Ministry of Comfort entrusted to MARLAN J. GARY FUNERAL HOME, THE CHAPEL OF PEACE 2500 Cleveland Ave.
Offer Condolence for the family of Pastor Nathaniel Robinson Jr.
Online Obituary Donation in memory of Pastor Nathaniel Robinson Jr.
Nathaniel Robinson III and Family: My sincere condolences and prayers are extended from myself. I did not know your loved one; however, I just met Nate from the car dealership. May your family find peace with your relationship with God and the memories you have from the years you shared with your loved one.